JTA are proud to announce that we will be running our spectacular Village Day Treasure Hunt with Blackheath Halls! See you on the 1st December from 11am! Come and join us for a day of architecture related fun at The Conservatoire, Blackheath on Sunday 17th September! On the 15th August JTA are holding a workshop at the blackheath Conservatoire for 5 - 11 year olds to completely re-imagine their bedrooms! Architects and artists will be on hand help each child create a transformative model of their room, taking inspiration from a range fantasy themes and adventurous tales! We are holding a workshop for 9 to 14 year olds to come along and try out being an architect! 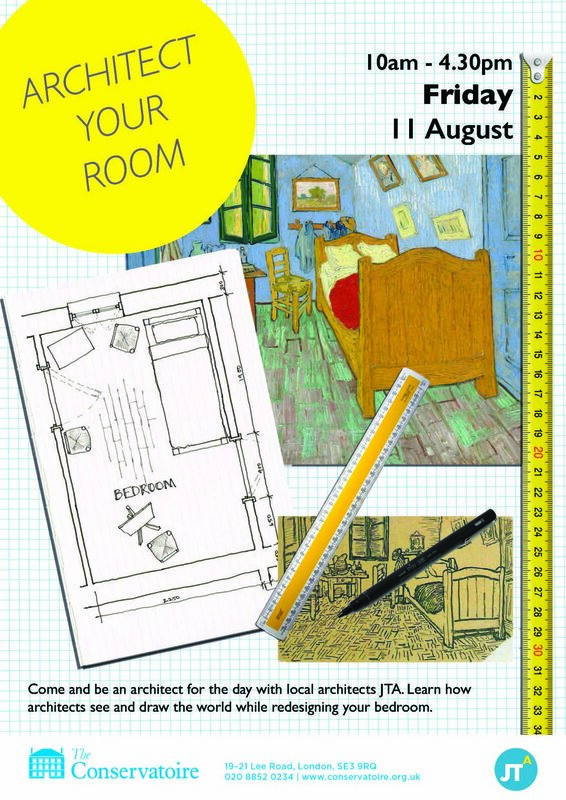 Head over to the Conservatoire in Blackheath on 11th August to learn how to see and draw like an architect while redesigning your bedroom! JTA are proud to announce that we will be running our spectacular Village Day treasure hunt for the third year in a row! See you on the 3rd December from 12.30pm! Did you miss our Treasure Hunt on the 5th of December? Why not download the booklet and have a go on your own? What does Blackheath mean to you? As part of the London Festival of Architecture 2015, www.londonfestivalofarchitecture.org, we organised an architectural treasure hunt around Blackheath. The walk took about an hour and a half and covered approximately 5km. 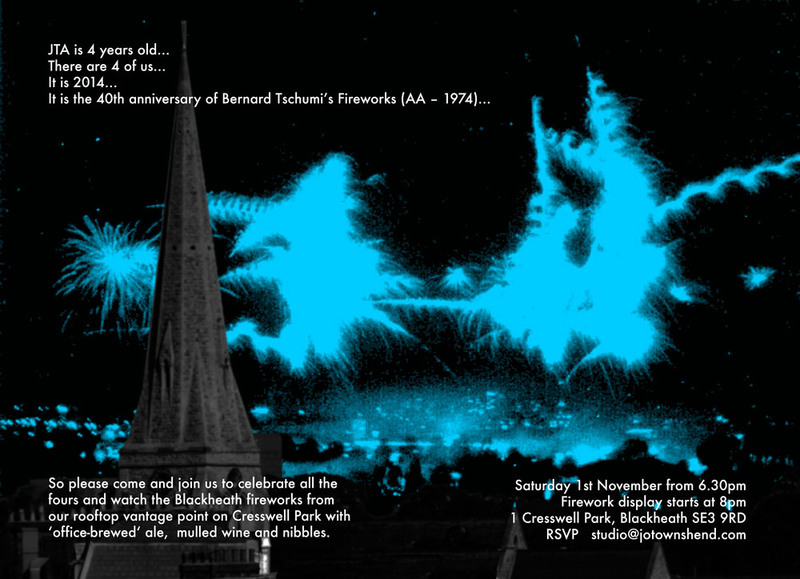 We invited friends to join us to celebrate all the fours and watch the Blackheath fireworks from our rooftop vantage point on Cresswell Park.